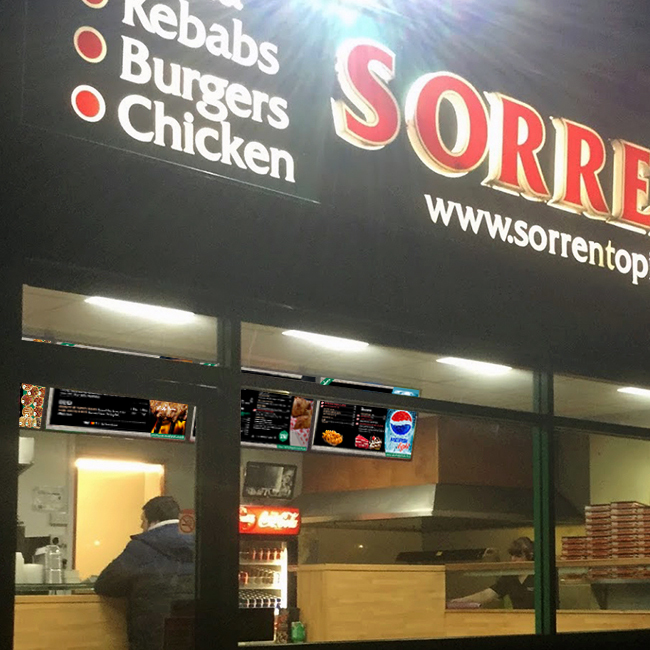 To bring convenience and maximum impact to its customers, Sorrentos Pizzeria needed a digital signage solution that was flexible to their needs and gave customers all necessary information at a glance. 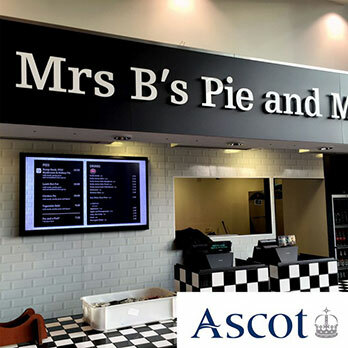 In a busy counter service food outlet, it was important that information was easily managed, and that the displays were placed to get the best attention from its customers. We are delighted with the solution provided by the team at Digital Messaging Company. Being able to change screen content in an instant is a great benefi t to us in informing our customers of latest offers. The whole job is tidy and professional and fitting for a modern, fresh Pizzeria. 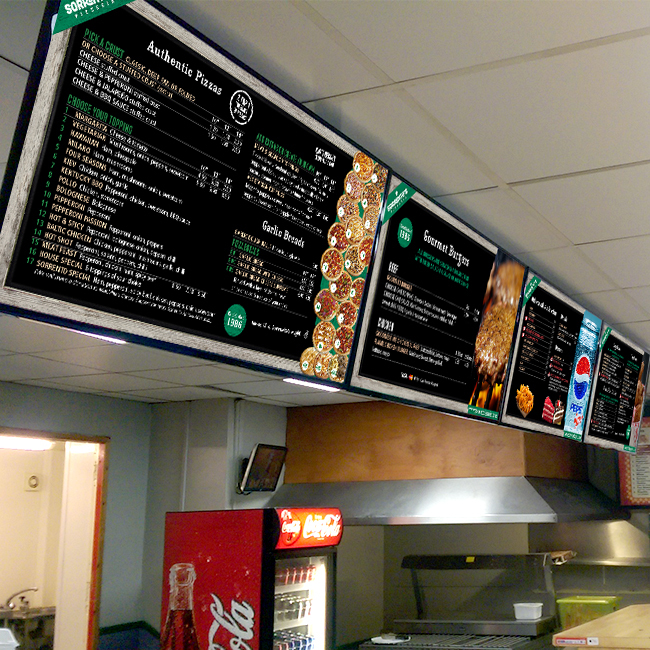 Digital Messaging Company designed a system that would deliver maximum impact, with the installation of 4 x 40-inch Samsung Smart Signage displays, powered by Signagelive. The display would be mounted 1m from the ceiling, with screens angled towards the customer using tilting arms. The displays were easily fixed at 20 degrees, putting them in the natural eyeline of customers as soon as they walk through the door. Using the tried and trusted Signagelive platform, all display content is managed by Digital Messaging Company, offering stunning visuals with the convenience of instant adaptability of prices and offers. 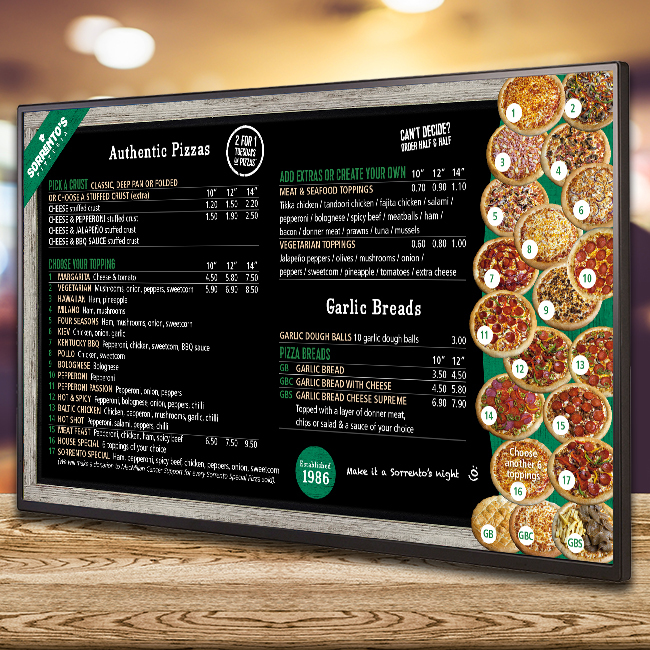 With a selection of impressive digital menu board designs, Sorrento’s Pizzeria now offers a fresh, modern experience where customers get a bright, visual representation of their food choice, with clearly displayed pricing. With wholly flexible content, the displays feature video, offers and have scope for future advertising revenue.